My youngest and I have been having fun with these different easy reader books. The latest book is a Playground themed book set. This is a really fun set. I made this set to go for spring and summer. I put this out to be a full learning set with printables for the sight words in the book. I wanted something fun to go with our normal sight word packs that we use. This was a really fun set to use. We have been working on our reading fluency and certain sight words. This set was made to go with the easy reader books based on the playground. We are really excited about this these sets. Plus be sure to scroll to the bottom for the free book that is a part of this set. You are going to find sight word activities based on the words from the easy reader books. The sight words in these books are: can, we, play, on, the, yes, like, on. There are four different books in the series: One with a longer sentence (can, we, play, on, the, yes), shorter sentence (we, like, the), Two words (the) and tracing the words. There are flashcards that match up with the book. You can use them in a pocket chart or on their own to build the sentences from the book. There are really fun no prep sight word activities in this set. 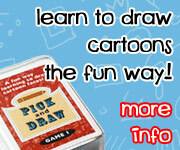 They are fun dice games for kids to do. You have Roll & Trace, Roll & Read Sentence, and Roll & Read Sight Words. The set has some sight word tile cards, writing cards and tracing cards. These work great to have laminated for kids to use over and over. They make great literacy centers. We used Appletters with ours. There are tile cards in the set of printables that match up with the cards. One of the favorite printables the Sight Word Trace & Dot is in this set. It only has sight words from the easy reader books. Plus it has a cute playground theme to them. These are no-prep printables. You just print and use. There is also the fun playdough mats with tracing that are low-prep as well. We used dot markers with ours but you could use glass gems , counting chips and any item to cover the circles. This set has the sight words in puzzles for you to do. They all have a playground theme with the sight words at the bottom. We had tons of fun putting these together. To make the puzzles last longer we laminated ours. Click here to buy your copy of the Playground Early Reader Book & Sight Word Set at Teachers Pay Teachers. Click here to buy your copy of the Playground Early Reader Book & Sight Word Set at Teachers Notebook. Something fun so you can see some of the set in advance is one of the Playground Early Reader Books. This is a simple book with 6 pages of learning the and the playground equipment. You can get a sample of one of the Playground Early Reader book here. This entry was posted in learning to read, store and tagged easy reader book, playground, printables, sight words. Bookmark the permalink.